Bowness on Windermere has been a long time local attraction stretching back to the Victorian times. 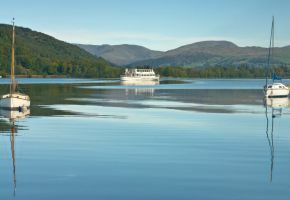 With the Windermere shore close to Bowness, there is plenty to do regardless of the weather - whether you want a walk along the lakeside, or a bit of fun on the lake itself. There are plenty of water sports to take advantage of, along with the local steamer, an open-top bus or even a steam locomotive - all available to ride around the town.